Remember to stay hydrated out there with this multi-color Water Bottle! 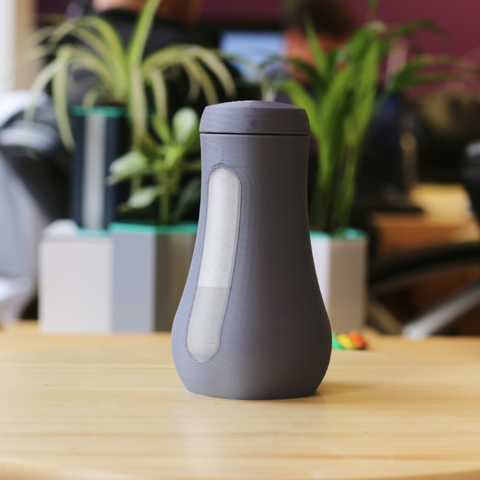 Printed with food-safe filament, this bottle has a window which shows how much water you have left and a screw cap top to make sure there's no leaking. Protoype water bottle with working twist cap. Only print with food-safe filament and scale window to 105%. Possibly increase your dual over lap.